FUE HAIR TRANSPLANT SURGERIES - This One is EPIC!!! The FUE hair transplant is completed. 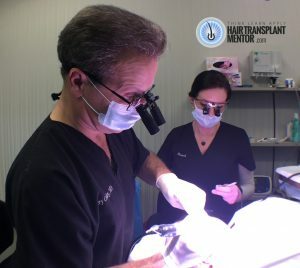 Dr. Cooley and Brandi took nearly eleven hours to complete this hair transplant procedure and the reason why it took so long was because of the FUE hair transplant scars from the previous procedure that the patient had a year prior. In my years watching FUE hair transplant surgeries I've observed how most clinics in the world do not take the patient characteristics very seriously and they will perform a hair transplant as fast as they can. What I noticed about Dr. Jerry Cooley and his team is that they really do take a long look at what they're doing and they take the time to perform their job the best way they can. Are some other clinics faster? Yes, but I don't think speed is something to look for when considering your hair transplant clinic options because if you find a clinic that cares enough to take the right amount of time, then you can man up and deal with the extra few hours. You're a big boy! I loved watching this surgery. It gave me the opportunity to finally see how this clinic performs their FUE hair transplant surgeries and how they take carte of their patients. 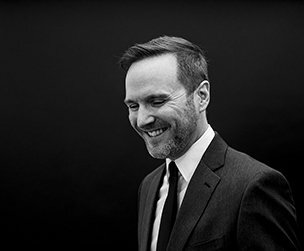 This patient was so happy to finally find a hair transplant clinic that knew what they were doing, because his first hair transplant surgery was performed by a clinic that decided to rely on their FUE machine for their FUE hair transplant surgeries more than they did on common sense and surgical skill. You can hear it in the patient's voice, he was happy. And to be clear, none of this was scripted and his comments about his FUE hair transplant surgeries were completely his own. As FUE hair transplant surgeries go, this one is a great one. This patient had a really bad experience with his previous procedure. He talked about how painful it was and said that the pain was nearly unbearable. I was really curious what he would think of this as the second of his FUE hair transplant surgeries, and hopefully his last. I was happy to see that he wasn't in a lot of pain and he stated, as you heard in the video, that it was much smoother compared to his first surgery. After the patient's surgery was completed he went home for a very well deserved night of sleep. The one thing that I was kind of surprised about was the plastic wrap method of healing. This is standard protocol for all of Dr. Cooley's FUE hair transplant surgeries, and FUT hair transplant surgeries. The idea is that the plastic wrap creates an environment that keeps the post-op healing spray on the scalp and encourages faster healing. Now, usually I would look at this and shrug it off but Dr. Cooley is very experienced with intra-operative and post-operative healing techniques and he has a stellar track record regarding the science of FUT and FUE hair transplant surgeries so I have no choice but to say that this approach must have merit. The next day, the patient returned to the clinic and we went into the back so that Amy, one of Dr. Cooley's most trusted technicians, could give the patient his first hair wash after his FUE hair transplant surgery and to go over the post-op instructions to make sure he was fully informed about how to care for his scalp in the coming days. I was impressed with how thorough Amy was. I was also impressed with her level of compassion as I know she deals with the same questions day in and day out and she handled them from this patient with the same care and concern that should would any other patient. She's a great technician! Once the hair wash was complete Amy said her goodbyes and we went to meet with Dr. Cooley for the patient's final examination and review. Dr. Cooley spent a good amount of time with the patient to explain again how the recovery should unfold and what kind of results are to be expected once the procedure has fully healed. Dr. Cooley also explained his thoughts on HairHelp™ protein shake for optimal hair health. Dr. Cooley believes that HairHelp™ actually encourages maximum hair growth even with finasteride, minoxidil, PRP and other hair loss treatments being used. After Dr. Cooley took a few more photos, the patient gave his final words to me regarding his overall impressions of his experience and he was out the door. This was a great visit for me as it was not only another opportunity for me to get my hair geek on, it was another opportunity to see a patient have a great hair transplant experience after already having a bad hair transplant experience. This patient wasn't asking for much, he was only seeking a natural result and to not look like was losing his hair. I think he finally got what he wanted, and it couldn't have happened to a nicer guy.